Are you a football fan? Do you want to feel just like Messi or Cristiano Ronaldo? 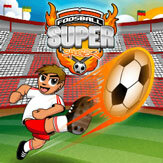 Then, play to our football games and become a top goal-scorer! 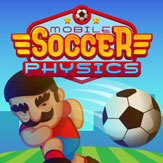 With our online and html5 football games you will discover a new and funny way to play this sport. You can play for free with your phone or computer to these browser games and train in order to become the new best online football video game player! Show everybody that you have a good command of the ball and that you could be a football star. Our games are really fun even if you don’t like football or if you don’t know how to play. It’s made for everyone because they give a different vision of football and makes it really entertaining. So, football fan or not, let’s play a match!